Since the Charge 2 released two years ago, Fitbit’s fitness products have gained some serious smarts. 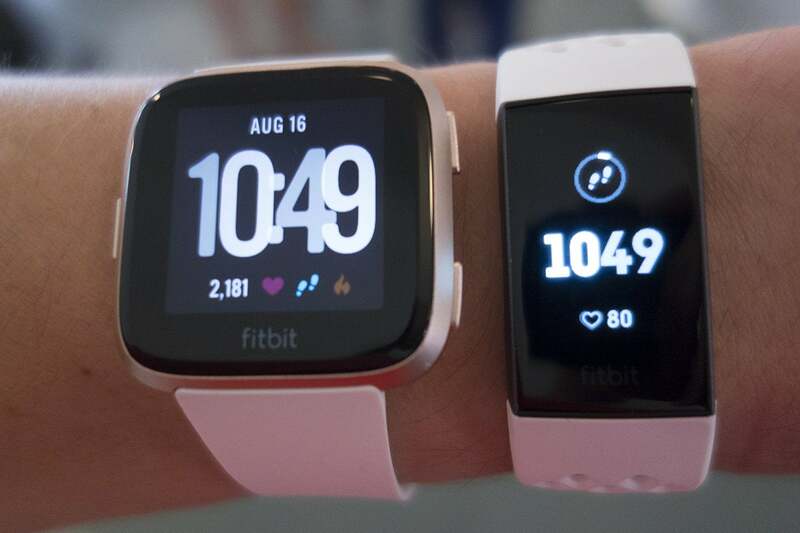 First there was the Ionic, which introduced Fitbit’s App Store and new OS, and then there was the cheaper Versa, which similarly catered to smartwatch wearers with a large full-color screen. 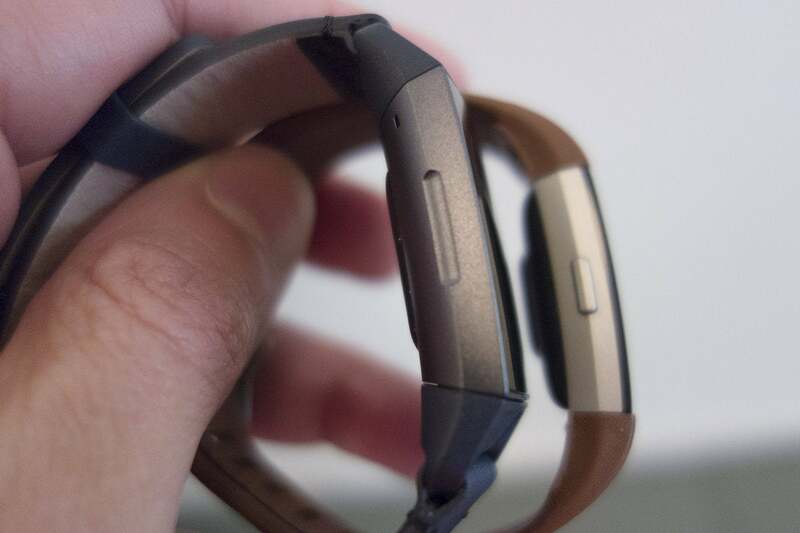 With the Charge 3, Fitbit is reminding fans that it still makes trackers. At first glance, the Charge 3 is very similar to the two-year-old Charge 2, but a closer inspection shows there are meaningful changes that could make it a killer wearable that addresses an underserved portion of the wearable market: people who want smarts and style on their wrist without wearing a full smartwatch. Fitbit said that the Charge 2 is its best-selling wearable, and the Charge 3 doesn’t stray from its predecessor’s form-factor or philosophy. It has the same vertical aesthetic, with a slim black or rose gold aluminum body flanked by a swappable band that blends nicely into the body. It felt light and comfortable on my wrist, especially when compared to the much larger Versa smartwatch. Compared to the Versa (left), the Fitbit Charge 3 is downright tiny. The Charge 3 display is a bit taller and ever-so-slightly wider than the Charge 2’s, and you’ll get a bit more information on each screen as a result. To take advantage of the extra space, Fitbit has brought the Today screen that was introduced with the Versa to the Charge 3, and the retooled interface lets you see two sets of stats at once despite the tiny display. You can scroll to see the rest, and Fitbit is also bringing sleep tracking to the screen for a more comprehensive overview of your vital stats. To get to the Today screen, you swipe up from the bottom just like on Versa and Ionic—that’s right, I said swipe. The Charge 3 has a full-touch display versus the tap-only one on the Charge 2, so navigation and interaction is much more natural than constantly tapping the side button whenever you want to move back or forward. Even with just a few minutes with the device, I found on-screen navigation to be even more intuitive than it is on even the Versa and Ionic. In fact, I rarely had to touch the button at all. The Charge 3 has an inductive button that vibrates when pressed. Speaking of the button, Fitbit is introducing its first inductive button on the Charge 3, which means it’s touch-based and takes some getting used to. Instead of a protruding piece of metal, the Charge 3 has a slight indent on the left side of the device where the button would normally go. When you properly press it, the watch will give a bit of haptic feedback to let you know something happened. I struggled a bit before I learned how hard to press it—and the feel is somewhat disconcerting—but there’s no denying how much better the Charge 3 looks with clean sides. The Charge 3 also comes with an easier band-swapping mechanism and a bunch of new bands designed to mimic ones you would get with a smartwatch, particularly an Apple Watch. There are Nike-style bands with holes ($35), Horween leather models ($50), and Fitbit’s heathered woven bands ($35). The Charge 2 had an excellent battery life that lasted five days, and Fitbit has upped the third generation substantially with a full week of battery life. But that extra time between charges comes at a price: The Charge 3 still doesn’t have on-board GPS or music storage. In fact, you can’t even control the music on your phone with it. You can view all of your daily stats right on the Charge 3’s screen. That’s likely to be a point of contention for would-be buyers. Fitbit is touting the Charge 3 as a device that nestles into the space between simple fitness trackers and do-it-all smartwatches, but the lack of music controls means runners and bicyclists will need to carry their phone at all times during a workout. They will, however, be able to leave their wallets at home. The special-edition models of the Charge 3 (priced $20 higher than the base model) will include NFC chips for Fitbit Pay support. Assuming it works the same way as it does on the Versa and Ionic—I didn’t get to test it—you’ll be able to store a single card on the Charge 3 for contactless payments. Since you’ll have your phone around anyway, Fitbit has given the Charge 3 full notification capabilities, so any alerts sent to your phone will also buzz your wrist. You won’t actually be able to interact with notifications (aside from the eventual ability to set up a few canned Quick Reply responses for messages and emails on Android phones), but Fitbit isn’t shutting the door on further capabilities for the Charge 3 down the line. It will periodically offer second-party apps via updates (meaning there won’t be a Charge 3 App Store), and it teased some announcements from “popular brands” coming soon. As it stands, you get Alarms, Timers, Calendar, Weather, and of course an array of clock faces and fitness related apps. As far as fitness features go, the Charge 3 is pretty much what you’d expect from an updated Charge 2, with an updated heart rate sensor as well as a new relative SpO2 sensor for monitoring oxygen saturation. To get the most out of that sensor, you’ll need to sign up for Fitbit’s upcoming Sleep Score beta program, which will monitor breathing quality using your Ionic, Versa, or Charge 3 sensors to track warning signs of sleep apnea. 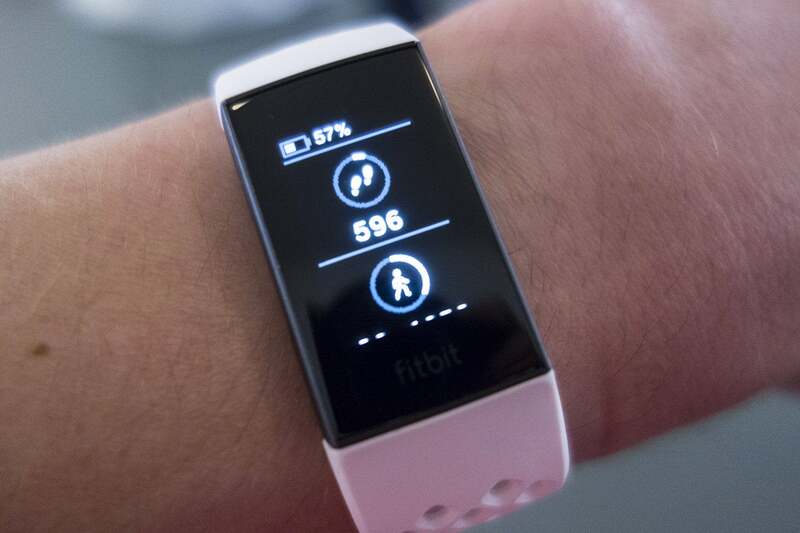 Eventually, Fitbit plans to make it a standard feature. 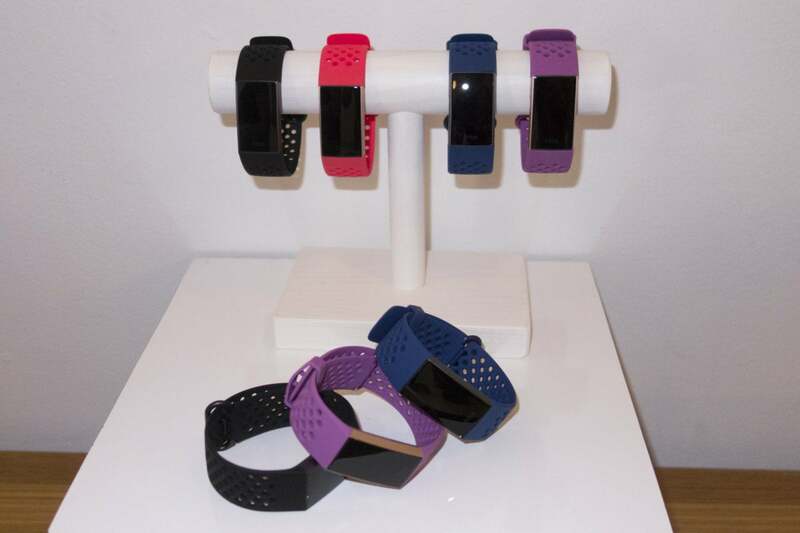 The Fitbit Charge 3 bands come in a variety of colors and styles. And I saved the best feature for last: water resistance up to 50 meters. That means swimmers will be able to take it along for laps and you won’t need to remove it when showering. Since it’s likely to stay on your wrist for several days at a time, that’s a nice improvement. The Fitbit Charge 3 is available for preorder todayRemove non-product link for $150 while the special-edition model will be available for preorder soon. Both models will ship in October.